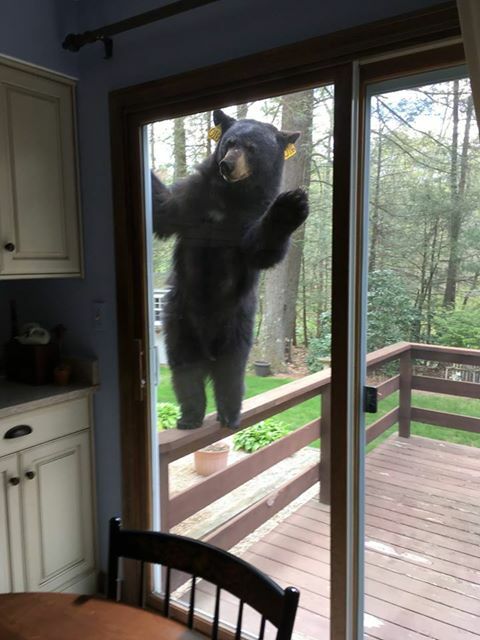 A Connecticut couple got quite the amazing surprise guest at their back door. It’s just one of several bear sightings in the Avon area about ten miles west of Hartford. It’s not unusual to have bears wandering around, but the persistence of one bear is putting people on edge. 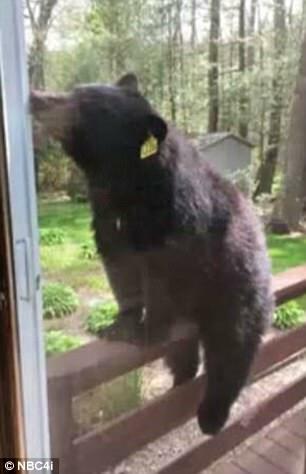 An Avon woman snapped a series of pictures of this bear climbing on her family’s back porch last week. She said earlier that morning she had cooked brownies. 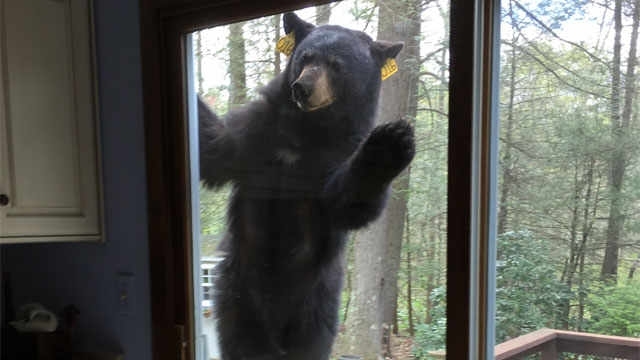 It’s not clear what prompted the bear’s curiosity, but it kept trying to get inside the house for about a half hour. The animal was caught peering in through the patio window of the home before jumping on top of the wooden railings to get a better view. The bear finally gave up and left. "We do get calls about bears walking in peoples' yards or crossing the street almost daily. 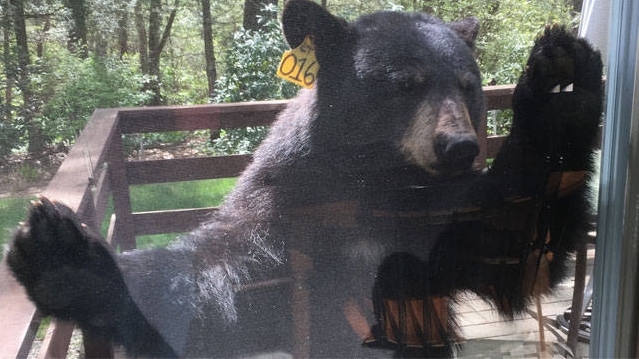 However, those calls we would not categorize as a “nuisance bear," Avon Police Lt. Kelly Walsh said in an email to Eyewitness News. 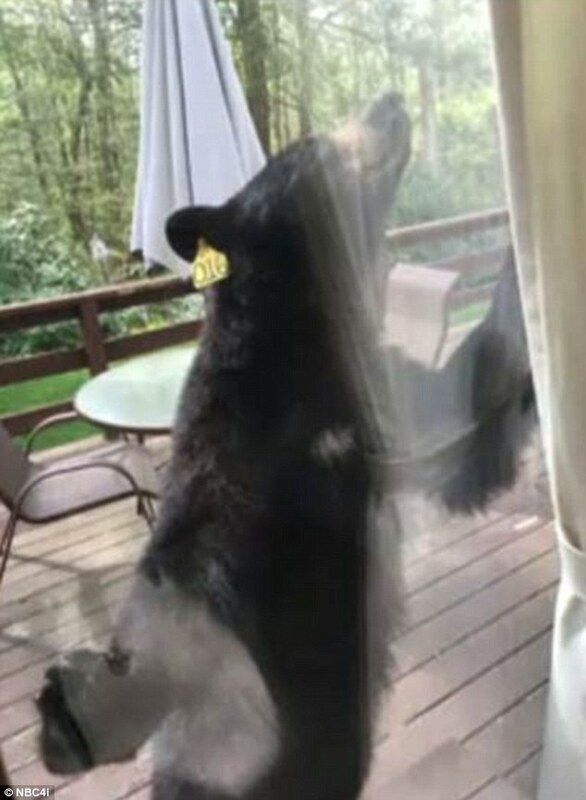 Responses to "Bear surprises Connecticut homeowners with visit to back deck"